You know when you walk into a regular high street shop, and you find a long skirt, with no splits, you think 'wow it's my lucky day!'. Then if you find two, it's like 'what a strange coincidence'. But to find no less than eight in one shop!! I am convinced Mango had Muslimahs in mind when designing their collections :) Not only that, but the Outlet store also has another eight (aside from the denim skirt I featured in my previous post. You'll be spoilt for choice! 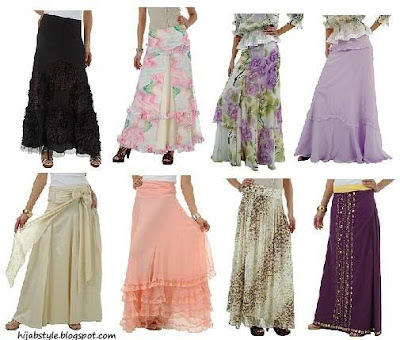 skirts, skirts, skirts yaay,a hijabis best friend!, though these r a bit pricey! now all we need is soemthing to team them up with, soemthing nice and cotton for the summer.....any ideas? I want half of them. They're all lovely...how i love those! I love the stuff you do on skirts...the one i have fallen for costs £70! Yellow - 3rd from the top. Eternal - I'll post some outifts soon inshallah. Alix - I want them all hehe! Rieanne - aren't they just? Sofi - ooh nice choice! I'm so gonna wait until the sales to buy these lol. mashallah i love these skirts and with the summer inshallah coming soon they are beautifully deisigned and just my kind of think. jazakallah for sharing with us. why are you doing this to me ukhti?! LOL! I want 5 out of 8 skirts. OMG i love ALLLL of them!!!! but for some reaon that Mango website is being mean to my comp :(. Or my comp is just being mean to me like always :(. Does it require flash player or something.. cuz FLASH PLAYER has been very mean to my poor comp lately.. for some unknown reason. 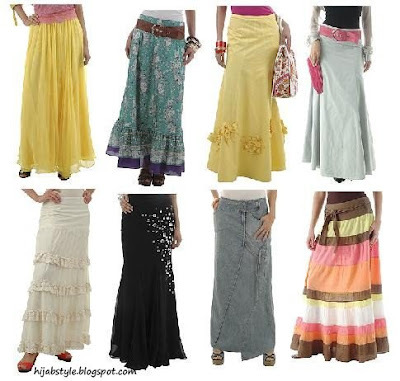 hehe, probably taking revenge.. sigh..
OMGosh Im gonna go broke ordering all these skirts for the summer! Thanks Hiyah!